Neil Patrick Harris Shares The Spotlight With His Family! Home » Neil Patrick Harris Shares The Spotlight With His Family! 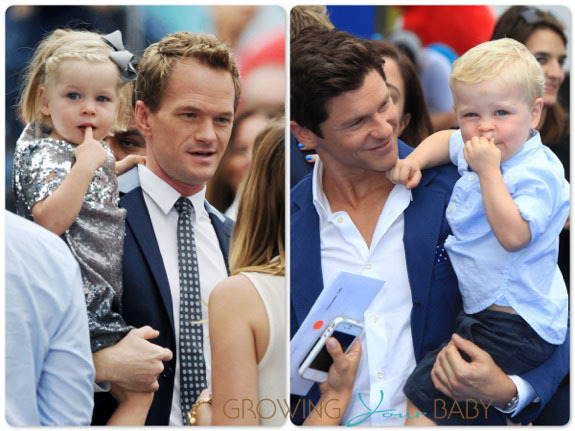 He may be one of the stars of the new Smurfs 2 movie, but Neil Patrick Harris was more than happy to share the spotlight with his family during the premiere on Sunday(July 28). 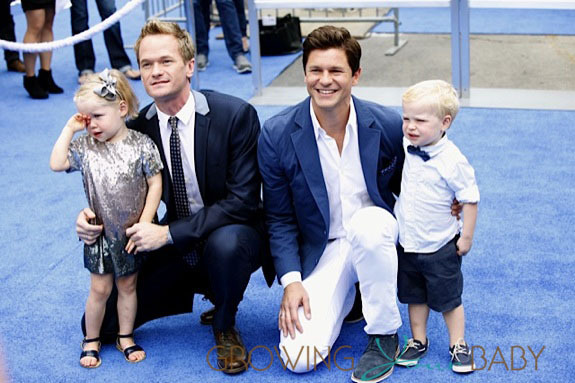 In between posing with his fellow castmates on the blue carpet, the actor and his partner David Burtka showed of their 2-year-old twins Harper & Gideon. Harper was shy in a ombre silver shift that was accessorized with a flower headband and black sandals. Gideon mirrored his dads in light blue dress shirt and a bow tie, which is often David’s signature look. In an interview with USA Today Neil revealed that parenting is getting less “complicated” as his twins grow older. “The first year with them was complicated. They were crying a lot,” he said. But he can be fun too!